Phoenix – The issue is subsidization. Figures from the regents show that more than one dollar out of every four paid by students goes back out in the form of financial aid to others. That includes not only scholarships based on need but also tution waivers which are granted for various reasons, like good high school grades. That upsets state Rep. Chuck Gray. He noted there have been a series of sharp increases in the last four years, with tuition for Arizona residents now topping $4,400 a year. Flagstaff, AZ – For many people, Joella Jean Mahoney's paintings perfectly capture their own images of the Southwestern landscape. Five decades of Mahoney's work are on display now at the Museum of Northern Arizona. But perhaps suprisingly, the influential Arizona painter is not an Arizona native.  Mahoney recalled her first day in Flagstaff more than 50 years ago for Arizona Public Radio's Mitch Teich. Flagstaff – This fall, Chandler became the first city in Arizona to pass legislation regarding public breastfeeding. Since then, several other Arizona cities have begun to examine the issue. Now, the Flagstaff City Council has been asked to consider a proposal to create a city-wide ordinance protecting public breastfeeding. Arizona Public Radio's Gillian Ferris Kohl has this report. simple matter of businesses protecting their customers and clients from having their identity stolen. Rush hour traffic on a Wednesday evening in downtown Kingman is virtually non-existent. It is, perhaps, not the greatest venue for an effective war protest. Nonetheless, a group of young people line historic Route 66 hoping their homemade signs to Honk for Peace will draw some reaction from their few passersby. Flagstaff, AZ – Arizona Public Radio's Mitch Teich speaks with Mary Garland and Amanda Stine, co-authors of "Sharing the Table at Garland's Lodge", a cookbook which collects more than 275 recipes from the lodge in Oak Creek Canyon from the past 30 years. Flagstaff, AZ – Arizona Public Radio's Mitch Teich speaks with children's book author and illustrator Jan Brett. Brett recently demonstrated her unique style of drawing to an audience in Flagstaff. WHAT COULD HAPPEN TO FEDERAL FUNDING FOR PUBLIC MEDIA? What's going on around Northern Arizona?